Greetings from HumanaNatura at the solstice! All around our world, we are now at the extreme points in the ever-changing light of the natural year. Today is the shortest day of the year and winter solstice in the southern hemisphere, and the summer solstice and longest day in the north. 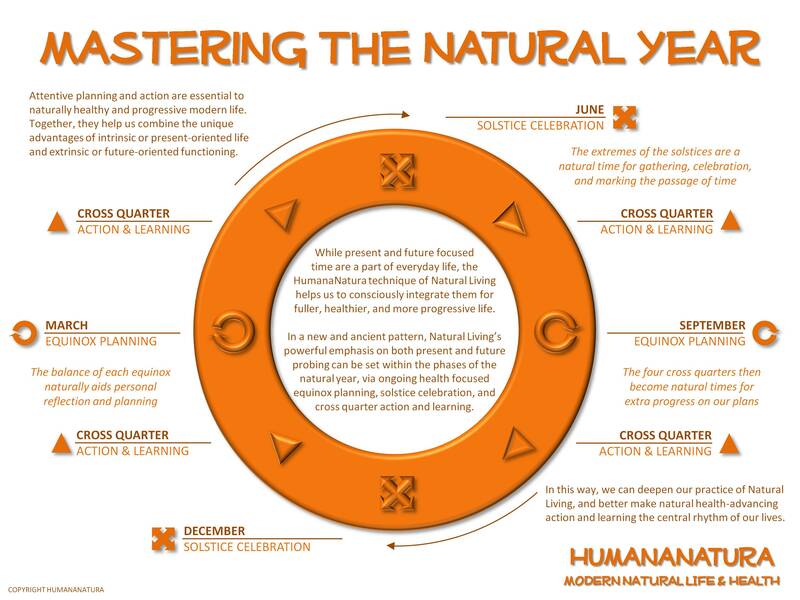 In the HumanaNatura approach, and as explained in our Mastering The Natural Year graphic, we encourage spending this and every solstice with family, friends, and community. With the special light and often intense feeling that comes with the solstices, it’s a natural opportunity to mark the passage of time, celebrate progress in our lives and Natural Life Plans, and encourage new health and progressivity in others. This entry was posted on June 21, 2014, 01:00 and is filed under Natural Living, Research & News. You can follow any responses to this entry through RSS 2.0. You can leave a response, or trackback from your own site.